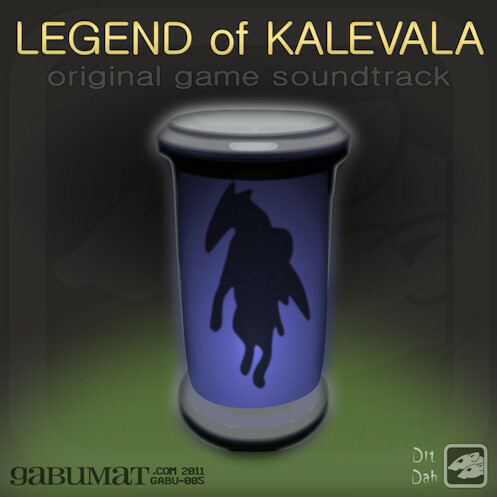 Soundtrack from the game “Legend of Kalevala” by Dit Dah Games, composed by hukka. I did like the game, though the title music sounded a bit too awsome. With theme music like that, I expected you would pull a Sonic card and make the final boss music the title music, only extended and changed slightly, but it was good anyway. I really liked the music in it too. No clue whether there will be a sequel or not, but only time will tell, right? I had the most difficult time finding this game. I remember playing it when I was twelve, and it hadn’t been updated yet. It was a joy to find and play this game again. What a beautiful game, with a beautiful soundtrack. I want more!